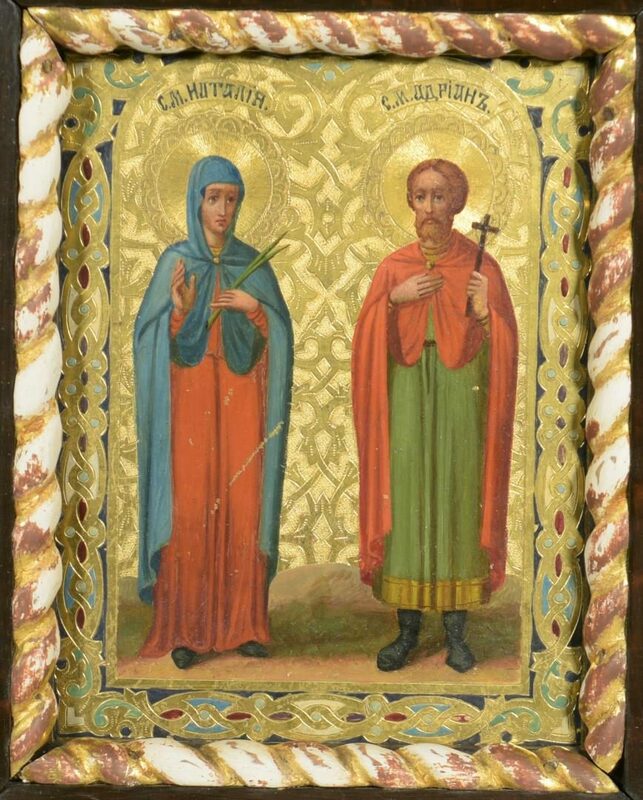 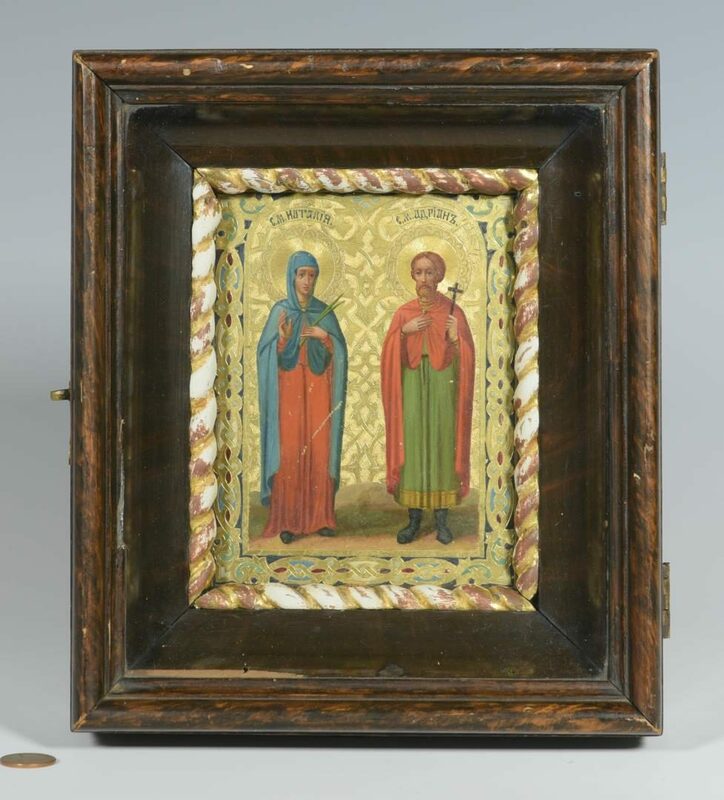 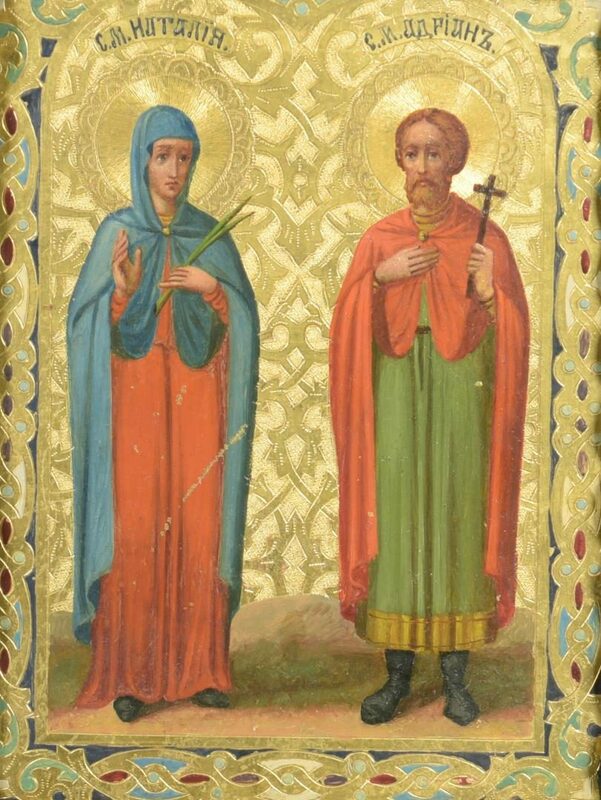 Russian Traveling Icon in grain-painted shadowbox frame, depicting St. Anna and St. Nicholas. 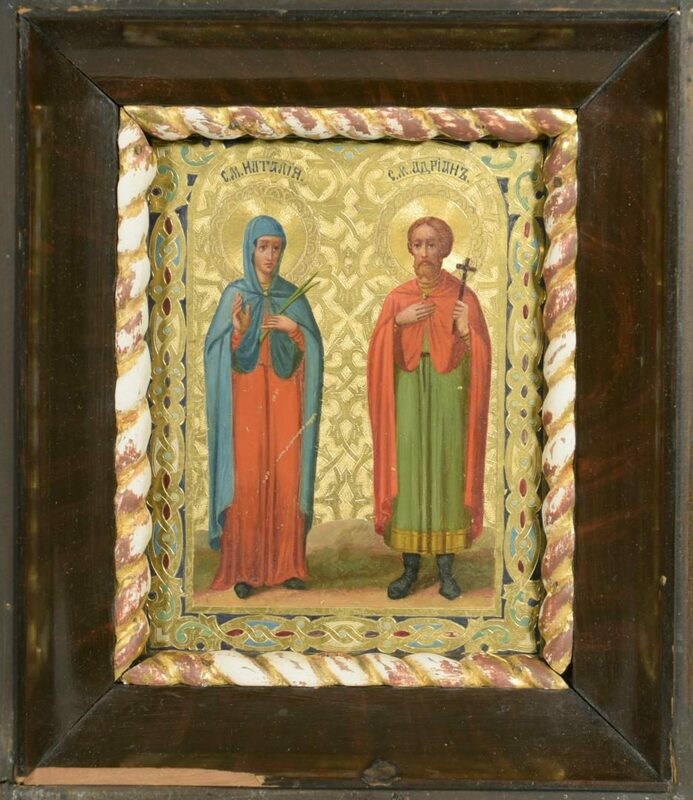 Tempera on wood panel with polychrome gilt painted border. 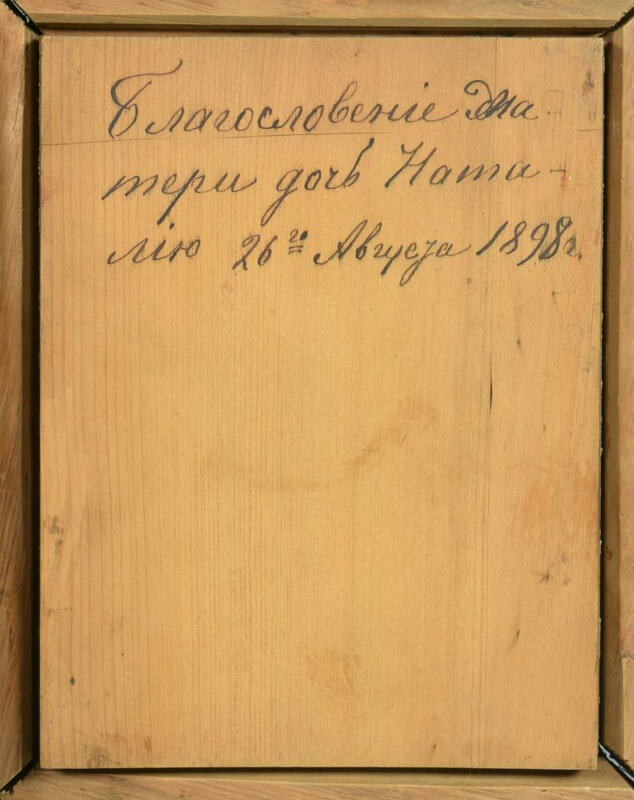 Back panel removes to reveal Cyrillic inscription and date 1898 on back of panel. 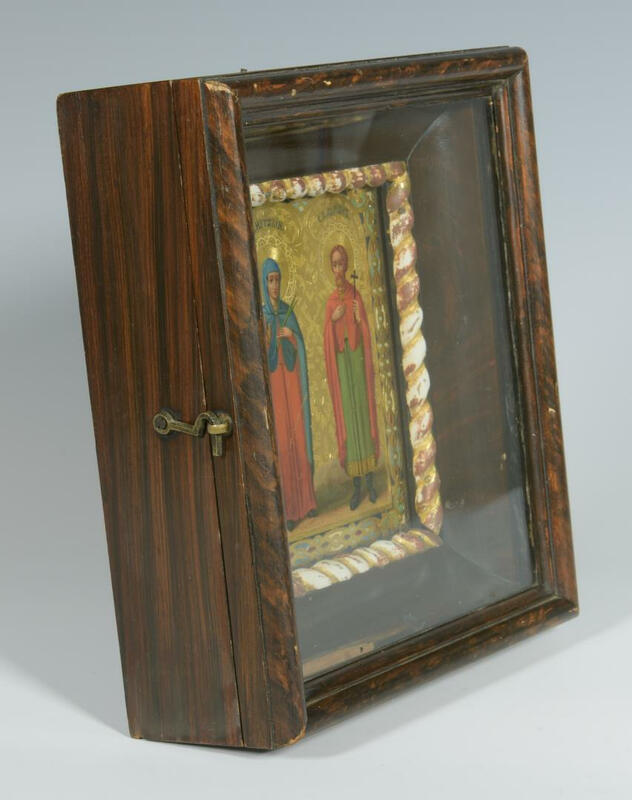 Panel – 5-3/4" x 4-1/2". Framed – 9" x 8" x 3". Late 19th century. 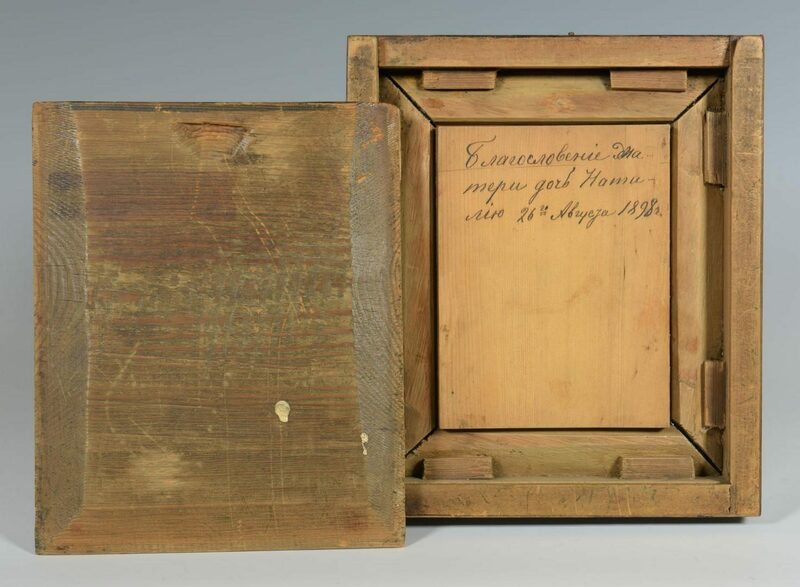 CONDITION: 2" scratch across female figure's dress, a couple of other scattered minute flakes and small losses to exterior edge of border. 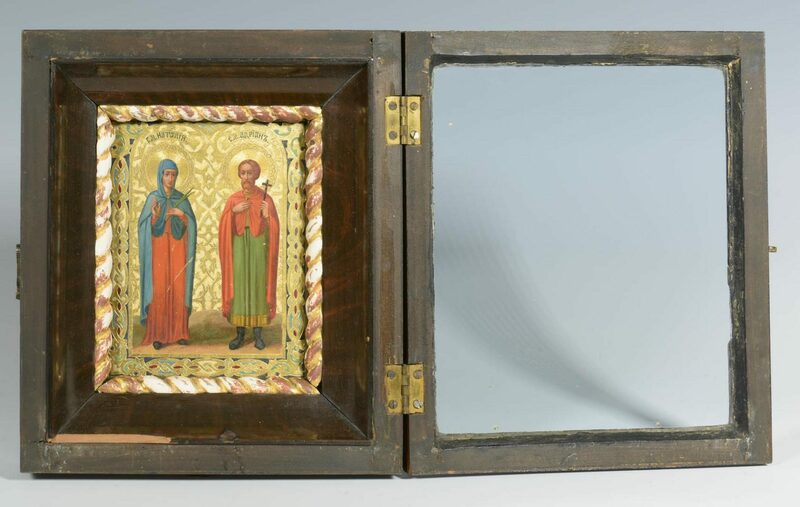 Significant loss of gilding to rope twist molding at rabbet edge of frame. 2-1/2" loss of wood molding to interior frame edge (not visible when door is closed).